Quote #11: Retain The Values. 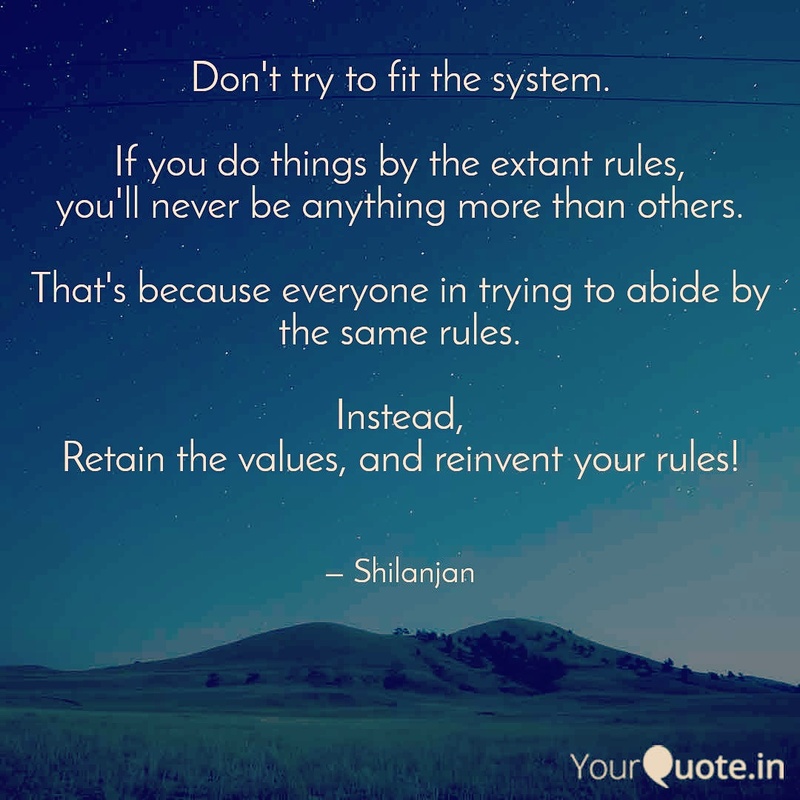 Reinvent The Rules. No system is perfect enough to catapult you to success, unless it’s customized for you and by you.